"Overdoses involving prescription painkillers are at epidemic levels and now kill more Americans than heroin and cocaine combined." So announced Dr. Thomas Frieden, director of the Centers for Disease Control, in November of last year. And as we saw on last week's post, "Most Abused Prescription Drugs In the US," prescription narcotic painkiller oxycodone made up 22.2% of requests for detox through hospital visits (a figure which includes requests for help for illegal drugs, as well) in 2009, and it is estimated that abuse of hydrocodone, a similar drug, nearly quadrupled from 2000 to 2010. What are we doing to stem the tide? Several makers of name-brand painkillers have already incorporated 'tamper-resistiant formulations.' In 2010, Purdu Pharma put a plastic-like coating on its OxyContin which turns the capsules into a gummy substance when crushed, making it difficult to snort, inject, or chew. Likewise, Endo Pharmaceuticals, whose Opana is quickly overtaking OxyContin as King of the Abused Pills, reformulated its drug at the beginning of 2012. The pill is difficult to crush, turning gooey if liquid is added to it. But generics don't have the same protections, and up to now haven't been required to. Four members of the House introduced legislation on July 19, requiring all addictive pain medications to have safeguards similar to OxyContin's and Opana's. Under the law, Stop the Tampering of Prescription Pills (STOPP) Act, pain meds that don't adopt the requisite safety features will lose their spot on the Food and Drug Administration's list of approved generic drugs. In a statement one of the bill's co-sponsors, Mary Bono Mack (R., California), said, "The STOPP Act is guided by a simple principle: If a drug presently on the market has a tamper-resistant feature, then all other drugs with similar chemical properties must eventually have that feature as well. Companies that refuse will be told by the FDA to reformulate or withdraw their drug from the market. It becomes a ‘use it or lose it’ proposition." Bono Mack's commitment is personal, as her son spent several years as an OxyContin addict (although he later overcame the addiction). In an act of Congressional theater, one of the sponsors demonstrated the difference between a regular pill and one with safeguards by slamming each with a hammer. The regular pill was smashed, while the tamper-resistant one was resilient. Rep. Bill Keating (D., Mass.) is lead sponsor of the bill, claiming strong bipartisan support for the measure. The bill's other cosponsors, aside from Bono Mack, are Nick Rahall (D-W.Va.) and Stephen Lynch (D., Mass). The Community Anti-Drug Coalitions of America noted that "The STOPP Act is the first federal legislation that directs pharmaceutical manufacturers to invest in research and production to formulate tamper resistant drugs in order to compete with drugs of a similar nature that already employ tamper resistant technologies." The House is up against some strong opposition, including that of the Generic Pharmaceutical Association. Ralph G. Neas, the organization's president, said, "The proposed legislation would be detrimental to patients and could potentially remove FDA-approved safe and effective generic medicines from those who rely on them." Others, however, wonder if the legislation goes far enough. The Wall Street Journal points out that the bill sets no timeline for how quickly painkillers lacking safeguards must comply. It is merely left to the FDA and individual companies to work out the timing. Additionally, although patents for OxyContin and Opana are set to expire next year, the FDA still hasn't provided guidelines about whether the abuse-deterrent features used by the drugs now will be required on their generics. There is precedent for more rigorous guidelines. Passed in both houses and merely waiting for the governor's signature before going into effect next year, New York's I-STOP (the Internet System for Tracking Over-Prescribing) plan could be a model of for the country. The plan creates a central database of prescriptions where a pharmacist can see if a person has been using different doctors to get narcotic prescriptions. Then, using that information, doctors and pharmacists will have to check out a patient's prescription history before prescribing or releasing any oxycodone product. 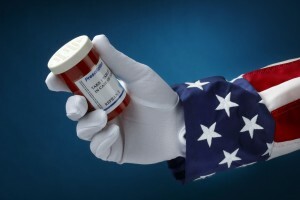 The loophole in the plan, of course, is that the information is only available from one state, not accounting for those who get their prescriptions filled in other states, or have come from other states with new prescriptions just filled. But a more rigorous version of the House's new legislation, incorporating aspects of New York's plan, could seal that loophole right up. Time will tell how serious lawmakers are about making a real change, how powerful the pharmaceutical lobby is in resisting that change, how responsive the FDA will be--and how difficult it will be to turn the tide of death--15,000 deaths per year--intricately linked to narcotics abuse.